When The CV Branch’s language translation services translate a document for you, we keep in mind the constraints, the context, and the rules of the grammar of both languages. English and Afrikaans each have their own idiomatic language and writing conventions. Anything can be translated; be it books, Websites, advertisements, annual reports, business proposals, to name a few. Your information will be treated as confidential, and we translate documents of any length. I am a mother-tongue speaker of both English and Afrikaans. Our language translation services in South Africa take the care to ensure that the message conveyed in the source text is the same as that of the target text. 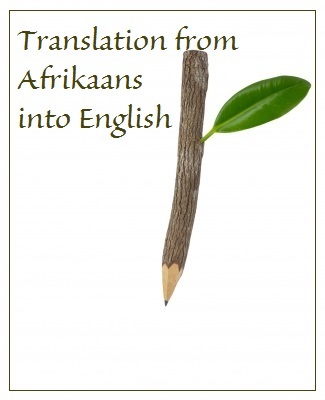 The intent of the Afrikaans and English texts must be the same. The term ‘translation’ is derived from the Latin translatio, from transferre, meaning ‘to carry’, ‘across’ or ‘to bring’. Language translation services are not an exact science; it requires an analytical method to achieve a true translation. Our language translation services don’t translate your Afrikaans documents verbatim into English. The CV Branch ensures that the tone is followed, formal or informal, confirming that it’s focussed towards your target audience. Afrikaans uses more words than English. 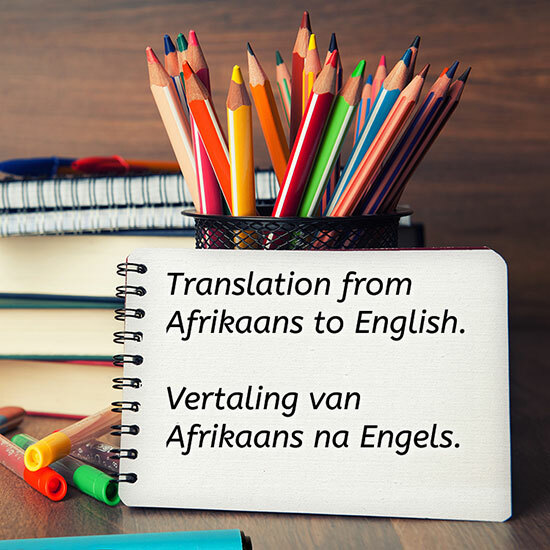 The CV Branch’s language translation services have the necessary language skills, writing ability, cultural sensitivity, and research techniques to transform your Afrikaans document into an English equivalent. We also have a substantial network, always ready to offer advice. Ek het groot geword met Engels en Afrikaans, dus beskou ek altwee as moedertale. Ek sal jou dokument met respek behandel en seker maak dat die vertaling na aan perfek is. Die materiaal wat jy in Afrikaans geskryf het sal vertaal word na Engels toe sodat die boodskap dieselfde bly en die taal grammatikaal korrek is.